The idea of vent-less fireplace appears quite attractive. 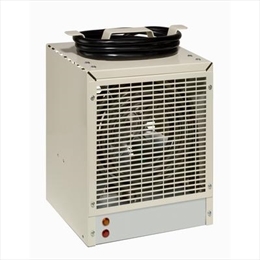 This is because it is quite cost – effective on account of the fact that it does not require chimney or flue to exhaust the gas outside the house. The manufacturers of such gas stoves claim that these have an efficiency of 95% and more, converting all the fuels into heat. However you should always consider the safety issues before buying them. According to the National Association of Certified Home Inspectors, if a fireplace is not allowed to vent exhaust gases outside, it will release harmful and toxic gases inside the room. Caron monoxide (CO), the silent killer gas without odor and color can get into the rooms. CO is one of the greenhouse gases that are released as result of combustion. The units come with an oxygen-detection sensor. These shut-off the machine if the oxygen level goes too low. It is always wise to have CO detector in the house if using vent-less fire stove. But detection would only depend on proper working of sensors. •	According to Building Science Corporation- "vent-less gas fireplaces should never be installed." 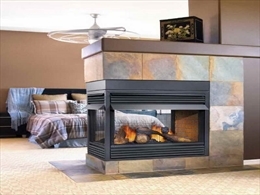 •	A company called Fireplace Creations by BMC says - "After doing research, we decided we would never put a vent-free (room vented) appliance into our home. Because of this decision, we didn't believe it would be right to sell them to our customers." •	According to an expert- "Choose a vented space heater or gas fireplace, and prove to our future generations that we have indeed learned something from our cave dwelling ancestors." •	According to Bill Yeager, owner of Yeager Gas Fireplace Service in Fredericksburg, Virginia, a vent-less fire stove is equivalent to having cars running in the house. No deaths have been reported yet from vent-less gas stoves. But the states differ in their stands about permitting to use them. The District of Columbia bans the fireplaces in bedrooms or bathrooms. However, Virginia and Maryland don’t restrict them. California and Massachusetts absolutely banned vent-less fireplaces because of the risks. •	Even when functioning properly, a vent-less gas stoves gives out lots of water vapor. •	It there are drafts, fans, candles in the house and the house is very airtight; these can impact the working of vent-less system. •	Many homeowners are not familiar with the procedures of maintaining them. •	Customers who are using them often complain about bad smell, soot, moisture and health-related issues. •	Vent-less fire stoves can release Carbon dioxide (CO2), Carbon monoxide (CO), and Nitrogen dioxide into your living area. •	These units should be cleaned at least once a year of the logs and other exposed components. •	The oxygen and carbon monoxide monitors should be checked from time to time for sound functioning. 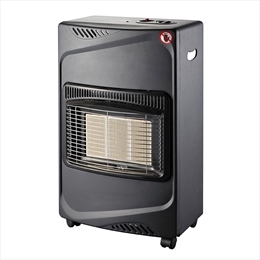 Size of heating unit is very important for best possible output. As for vent-less fireplaces, units with output of 5,000 BTU will do for bedrooms for averagely sized rooms. A vent-less fir stoves can be powered by gas, propane, gel and electricity. A gas or propane powered with factory finish and insulate charges will range between $2,000 and $6,000. Gel-powered vent-less fireplaces generally cost less. They range from $300 to $700. Thy also do not require professional installation Electric powered units cost $1000 and up.